The party comes to life when the DJ pushes all his efforts and machineries to its maximum. A DJ setup is expensive, and it needs a lot of training and education to deal with it. A one-hour manual may not help you drive the DJ decks available. With a plethora of machines and music mixers, DJing is definitely a hard job to perform. Presently, it is well-known that the best way to DJ is through a computer. Whether it’s a Windows PC or a Mac, you’re provided with all the necessary tools and software to perform your job. It is always great to have the best DJ software for WIndows & Mac installed on your machine before you hit the stage. Fortunately, this is the era where you’re blessed with myriads of professional DJ software available online. You may find mixers that are capable of mixing not just two but upto four DJ decks at a time. These software are made so diligently that you don’t feel going manual again. The features and benefits of having a DJ software on your Windows or Mac machine would not only help you mix the music well but also improve your job performance. You may also consider upgrading your DJ setup with a hardware controller that lets you do almost everything that you could do with those old-school setups. Today, we’re going to suggest to you the best DJ software that you can employ on your Windows or Mac machine and improve your live performance. Native Instruments Traktor Pro 2 is one of the best DJ software available online. The tool is available for both Windows and Mac machines that you can download with one click.Traktor Pro 2 is a 4 Deck DJ software that is able to create on the go remixes with effective cueing and looping. The tool lets you add tension and drama with the industry’s largest FX suite on fully customizable and versatile interface. Traktor Pro 2 is geared up with many features like tempo sync, music mixer, cueing, looping, remix sets, flux mode, FX suite etc. Traktor Pro 2 is provided with the latest Stems technology that is a new audio file format. It splits your music tracks into channels based on four musical elements i.e. bass, drums, vocals and melody. The technology eases the task to mix in innovative ways and create spontaneous edits, acapellas, instrumentals, and more. Traktor Pro 2 is able to work with almost every hardware and controller. You’re also free to use any MIDI compatible controller. Many manufacturers and DJ communities offer Traktor mapping to download to help use it better. If you’re looking for a professional and dedicated DJ software that can support both Windows and Mac, rekordbox dj would go for you. It is a fast and reliable tool that emits a pro level superior quality sound with no latency at all. The tool offers multi-deck mixing with 2 or 4 decks and uses Pioneer DJ controllers for plug & play access to dope features. With rekordbox dj, you can mix any combination of tracks in perfect harmony using their keys. The Key Sync is designed to automatically change key of your next track that matches your master deck. Rekordbox dj also sets you free to use any type of player or device as its GUI is perfectly matched with the layout of your hardware. The tool is the most effortless and intuitive that lets you choose from 2 or 4 DJ decks with horizontal or vertical views. On top of that, the RELATED TRACKS feature lets you feature additional track characteristics which you can use to take a look at other tracks with same traits. The rekordbox dj Automix is powerful enough to mix your playlist with highest accuracy. The Automix also employs track information to produce a natural mix. Moreover, if you don’t have separate speakers to test your music, it lets you use your laptops in-built speaker while simultaneously using the controller for your headphones. Mixxx is one of the easiest to use DJ software for Windows and Mac that comes for FREE. The tool provides you with a four deck scratchable platform that lets you beat loop, master sync, beat rolls & censors and mark and activate the cue points and loops on beat time (Quantization). The tool also lets you load up to 64 sampler decks to layer your mix. You can also get a unique twist on your mix by linking up to three effects in row. If you wish to fine tune your sound, you can tweak each parameter separately. If you’re concerned about the hardware support, Mixxx has proven to be a great match with a variety of hardware without the vendor lock-ins. It supports the MIDI and HID controller support. Mixx also facilitates a sophisticated music library that is designed by DJs to help organize your music so that you don’t have to waste a lot of time to look up the next track. Features like BPM, Key Detection and Auto DJ make Mixxx as the one of the best choice. If you do not have any DJ software on your machine, Mixxx should be your choice. Overall, DJing is more of a passion than a profession. However, if you enjoy what you do, you may go places with that. 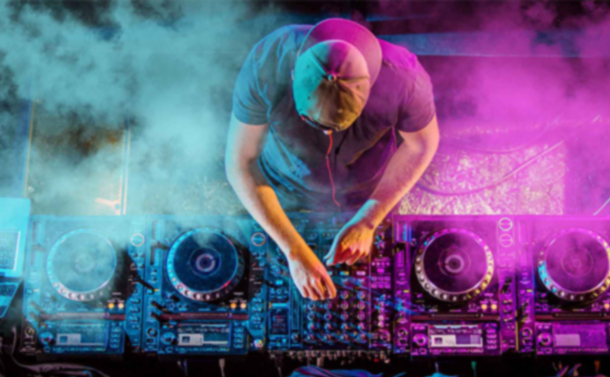 You can download and install any of the above listed DJ software that are proven to upscale your performance and help you build a rapport with your audience. It is important that you download the software from the authorized and official website and not from an unauthorized third-party website. If you know some more DJ software and music mixer tools that can help you with this profession, do let us know in the comments below.